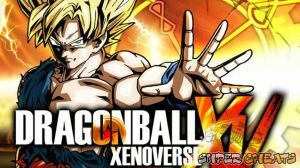 Dragon Ball Xenoverse is the first Dragon Ball game released in the current gen/ 8th generation consoles. The game still revolves on the original Dragon Ball universe but now with a significant participation of the player. History is being distorted and is bound to change forever unless something is done to fix the anomalies. After being summoned by the legendary dragon Shenron, the player takes the role of a Time Patroller with the help of Trunks. Players can create their own characters based on the game's five prominent warrior races, and fight off various characters from the game's storyline. Welcome to Supercheat's unofficial guide for Dragon Ball Xenoverse. The game is supposedly multi-platform but we'll be using the PS4 version of the game in this guide. This is a work in progress, any updates will be added real-time so don't forget to subscribe for notifications. Use the panel on the right-hand side of the screen to navigate the guide. Scorpion and sub zero are brothers some people may not think so cuz they are in different clans and sub zero killed scorpions parents.so plz ad this to the facts of mortal combat. I had the same problem too. I thought I had spoken to everyone too. So, I started over again with a new character and paid attention only to the other time travelers by carefully combing the map. Each of them had an alert bubble that makes an audible sound as you draw nearer to talk to them. After I spoke to the last of them when I saw Trunks he now had the same alert bubble which indicated to me that I had missed someone previously preventing the story from advancing.